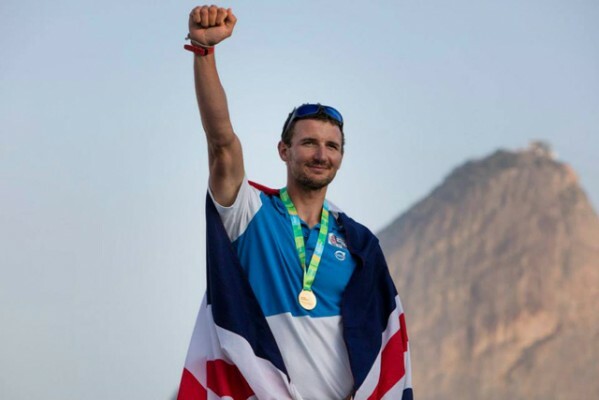 You are here:Home » Category: "Racing"
Yachting Boating World: Giles Scott just has to complete the medal race on Tuesday to officially win Team GB’s fourth successive Olympic title in the Finn, after three straights from Sir Ben Ainslie. With a 24-point lead over his nearest rival, Giles Scott cannot be knocked off the top spot in the Finn class. The four-time world champion’s eighth and a second in the last two outings of his qualifying series gives him an unassailable lead going into the medal race on 16 August. Scott, 29, said reaching this stage has been emotional. “I know what it meant to me because of the way it made me feel towards the latter stages of that final race. I just found myself welling up, getting tingles as it slowly dawned on me what I had done,” he said. “I wouldn’t put myself down as the emotional sort but I had a little cry to myself, which I’d like to think I don’t do that often. Just the emotions that kind of end up coming out of you in that situation, you can’t really prepare yourself for. It was amazing,” he continued. “If you had have asked me would I have won the Olympic Games before the medal race in Rio, I would have said absolutely not just because of the venue it is,” noted Scott. “But the racing we have had this week; I have managed to sail more consistently than everybody else at the top of the fleet. 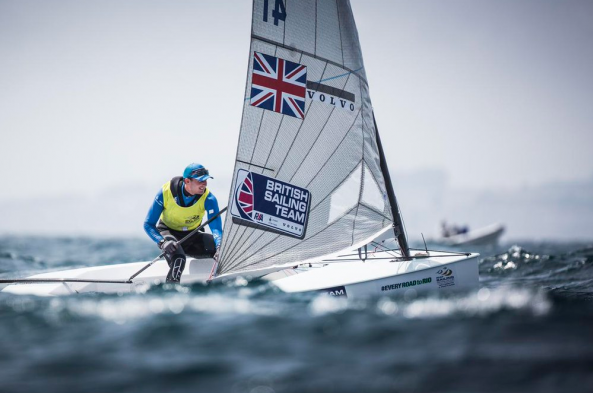 It has just landed me in this brilliant situation where I’ve got the points gap I need before the medal race and it’s such a privileged situation to be in,” he said. Scott was congratulated by three time Finn Olympic gold medallist, Sir Ben Ainslie. 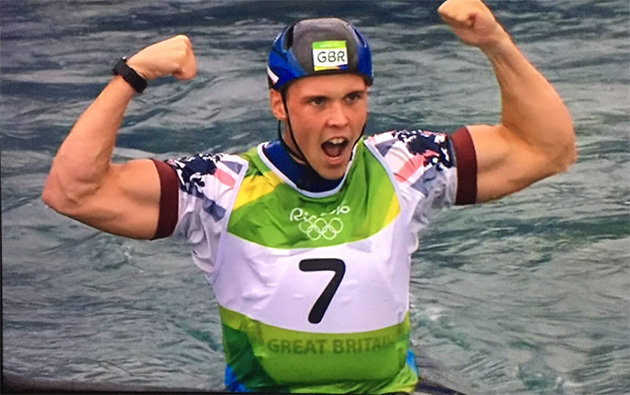 Yachting Boating World: Joe Clarke is the first British athlete to ever take gold in the men’s K1 canoe slalom. The 23-year-old secured Team GB’s second gold medal of the Rio 2016 Olympic Games after a faultless run and time of 88.53 seconds. He had been third fastest in his semi-final, but his quick run meant that Slovakia’s Peter Kauzer and Jiri Prskavec of the Czech Republic were left with silver and bronze respectively. The win makes Clarke the first British athlete to claim a medal in the event since Campbell Walsh picked up silver back at Athens 2004. Speaking following the race, Clarke said: “I went out on that final run, laid it all on the line, put my all out there and that was enough to come away with the Olympic gold medal”. 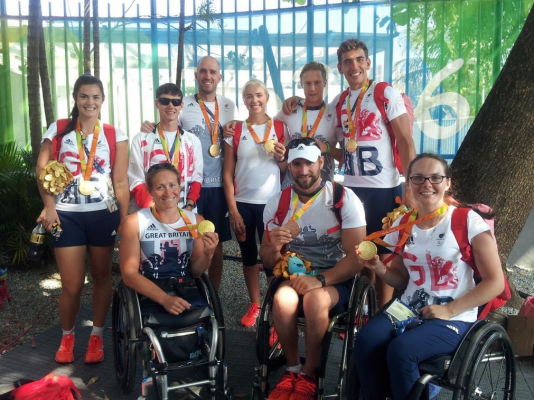 “When I crossed the line and knew I had a bronze I was absolutely ecstatic. It got even better when that upgraded to a silver and then upgraded to a gold,” continued the gold medallist. “Joe Clarke, Olympic Champion. Joe Clarke, Olympic Champion! It was what I went to bed dreaming about last night and what I’ve dreamed of for so many years,” he said. “To wake up this morning thinking this is actually the finals of the Olympics and I could come away being the Olympic champion is just like wow,” continued the canoeist. “For sure I’ve had some luck and you need a bit of luck in this sport to excel and that has come today. I don’t know what I did to deserve that but I obviously did something right along the way,” said a delighted Clarke. Prior to his gold medal win, Clarke had taken silver in the men’s K1 event at the 2014 World Cup 5, his first senior international medal. At the 2015 World Championships at Lee Valley, he was part of the bronze medal winning K1 men’s team. He was selected to represent Team GB after winning the men’s K1 event at the 2015 Canoe Slalom Olympic Selection. 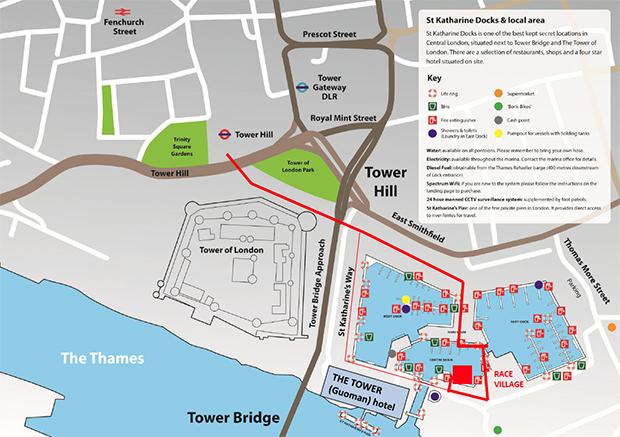 Yachting Boating World: The Clipper Round the World Race fleet will return to where it all started this Saturday, when the yachts sail past Tower Bridge and back to St Katharine Docks. Yachting Boating World: Five women have set a new world record after becoming the first ever all-female crew to row the Atlantic Ocean from west to east. 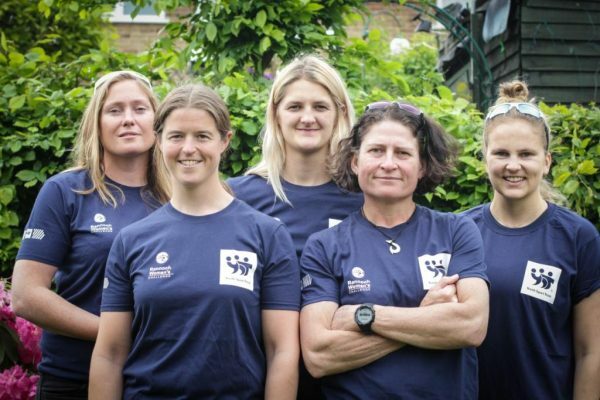 27 July The rowers on Liberty of Essex have made history by becoming the first all-women crew to row across the Atlantic, west to east. The team set the record on 26 July at 0549 UTC when they crossed the line at Bishop Rock Lighthouse near the Isles of Scilly. They rowed the 3,000 mile journey in 48 days, 13 hours, 49 minutes and 9 seconds. The crew left New York on 7 June. Skipper Guin Batten, Molly Brown, Alex Holt, Mary Sutherland and Gilly Mara have now landed at Falmouth, Cornwall. Molly Brown has also set her own record – at 20-years-old, the oceanographer student is now the youngest woman to have rowed the Atlantic Ocean. 26 July Five women are about to enter the record books after a 3,000 mile journey rowing across the Atlantic. The crew of the Liberty of Essex are expected to reach the Bishop Rock Lighthouse near the Isles of Scilly on 26 July. 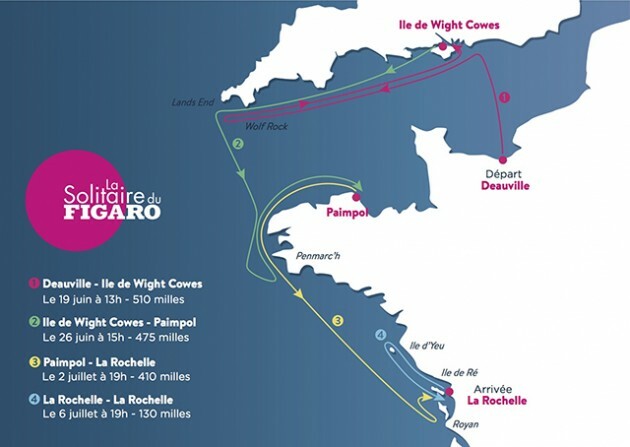 They are scheduled to arrive at their destination – Falmouth – sometime between 8 and 11am on 27 July. The women started their journey from New York on 7 June. On board are 49-year-old Guin Batten, who won a silver medal at the 2000 Sydney Olympics, and 20-year-old oceanographer university student Molly Brown, who will become the youngest woman to have rowed the Atlantic. Making up the rest of the crew are Alex Holt, a 26-year-old water-ski and snow ski instructor, 34-year-old Gilly Mara, one of the fastest ultra-kayakers in the UK who came into the sport after breaking her neck in a climbing accident, and offshore sailor and racer Mary Sutherland, 36, who has several Fastnet and Atlantic crossings under her belt. Assisting the crew on-shore is ocean rower Charlie Pitcher. His company, Rannoch Adventures, built and supplied the rowing boat. Pitcher was also responsible for placing the advert looking for crew to undertake the challenge. He appointed Guin Batten as the skipper. The rest of the crew were selected over “Hell weekend”. YBW talked to the crew as they neared the end of their world record attempt. How were you selected to take part in the record attempt? Final selection for the Rannoch Women’s Challenge crew comprised 26 hours of a mixture of power testing, a six-hour endurance task, an undefined overnight trek, a ‘sleep-where-you-can’, a pre-dawn 30 minute row and a panel interview. This was done all with the aim to ‘see’ the real personalities and team interactions shine through. All the while, Louise Carey (rower and SAS Are You Tough Enough contender) and Polly Gough (rower, sailor and medic) looked on watching every move, and listening to every word. Did you all get along immediately or did you have to work to become a crew? It has most definitely been something that the crew have worked on once final selection was made at the beginning of the year. Training and preparation has also included specific team building coaching to help them on their way. Yachting Boating World: The Duke and Duchess of Cambridge gave their support to Sir Ben Ainslie’s Land Rover BAR team as they took podium position in Portsmouth on 23-24 July. Motorboat & Yachting: The Venture Cup 2016 has been called off just three weeks before it was supposed to start. The Venture Cup 2016 has been cancelled due to “acute cash flow problems” just weeks before it was about to start. The round-Ireland race, which was planned to start on June 12, would have seen teams starting in Cork and finishing in Dublin seven days later after a 1,000nm dash around the Emerald Isle. A statement from the race organisers says: “Delivering an event of this scale was always going to present challenges, but we felt we had the team and support to make it happen. 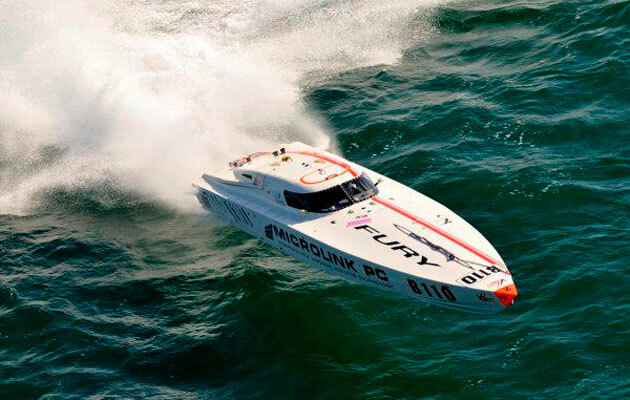 Only last month it was announced that Cougar Powerboats had made a late entry into the race with former world champions Steve Curtis and Richard Carr making up the team. This setback is the latest in a host of funding and organisational issues that have hounded the race. Back in the 2014 the original race from London to Monte Carlo was sideswiped by a late decision by the RYA to refuse approval. Last year the race was delayed once more after funding from an Irish backer prompted the event to be hosted in Ireland.